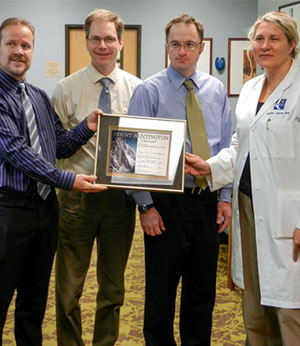 Alaska Foot & Ankle Specialists received the Mt. Huntington Award from Anchorage Project Access. The Mt. Huntington Award was granted to AFAS providers for their commitment and generous service to medically uninsured patients. Anchorage Project Access is a physician-led community effort to provide health care to low income uninsured residents with the Municipality of Anchorage.